Connect with folks, eat good food, and participate in our letter-writing campaign. We will write to elected officials, to share our visions for the transgender community. 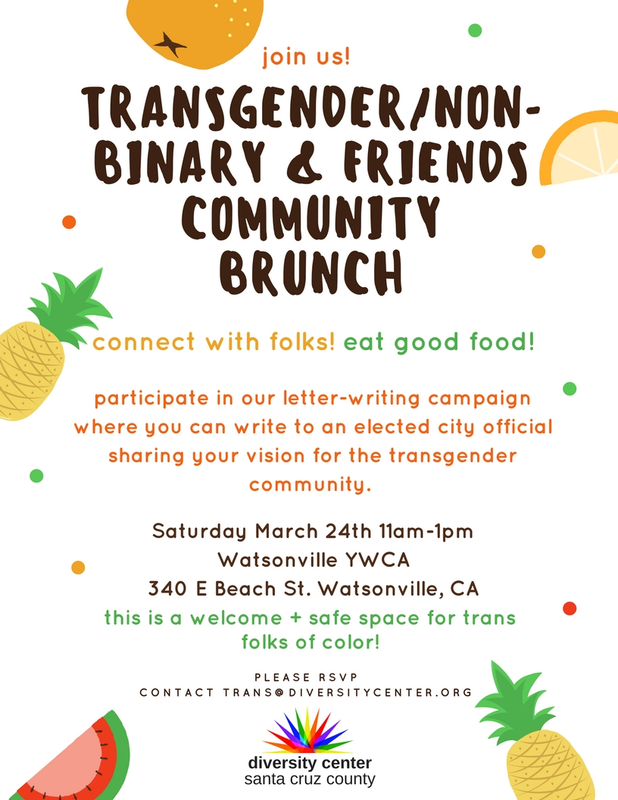 RSVP to trans@diversitycenter.org.